Service learning is integrated across all grade levels at Salisbury Academy and fulfills a key component to the SA mission: that students become stewards of both their environment and their community. Service learning starts in the very beginning of our educational experience with JK/K students holding quarterly Giving Parties. 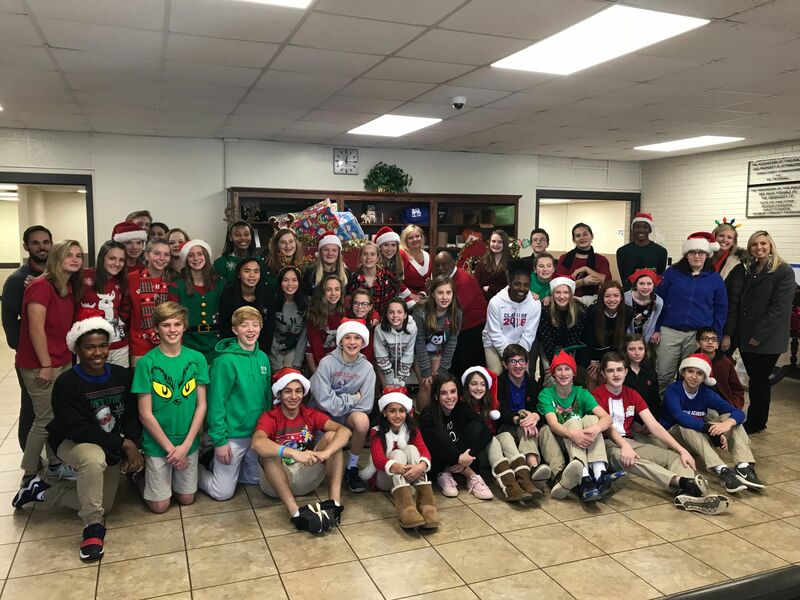 At these parties, JK/K classes bring in wrapped donations for the featured organization of the quarter, and students with birthdays during that quarter have the joy of unwrapping the donations. Students also engage in service learning about our community's wide range of needs at the parties. Pictured here, a kindergarten student creates soup mix for Rowan Helping Ministries. As students progress through their time at Salisbury Academy, their depth of understanding and passion for service grows ever stronger! 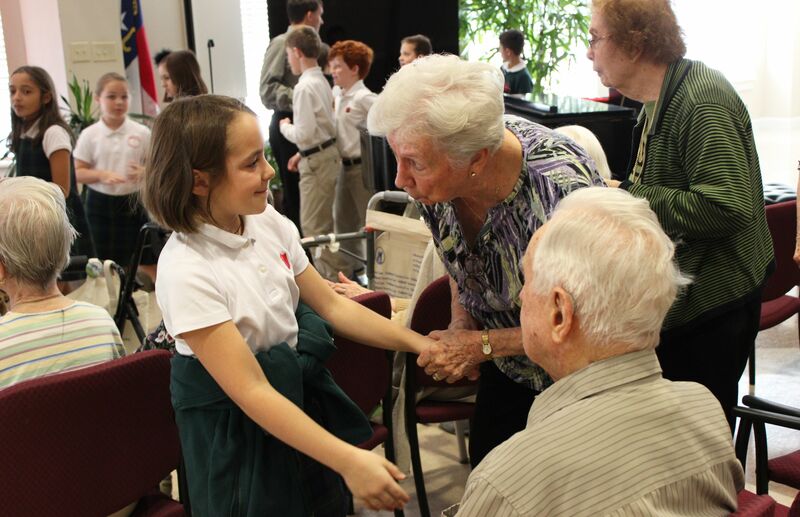 Third grade students greet residents after singing at Trinity Oaks Retirement Community. JK students create a "Somebody loves you!" banner for Carillon Assisted Living. Middle school students hold their annual Christmas party for Rowan Vocational Opportunities participants. 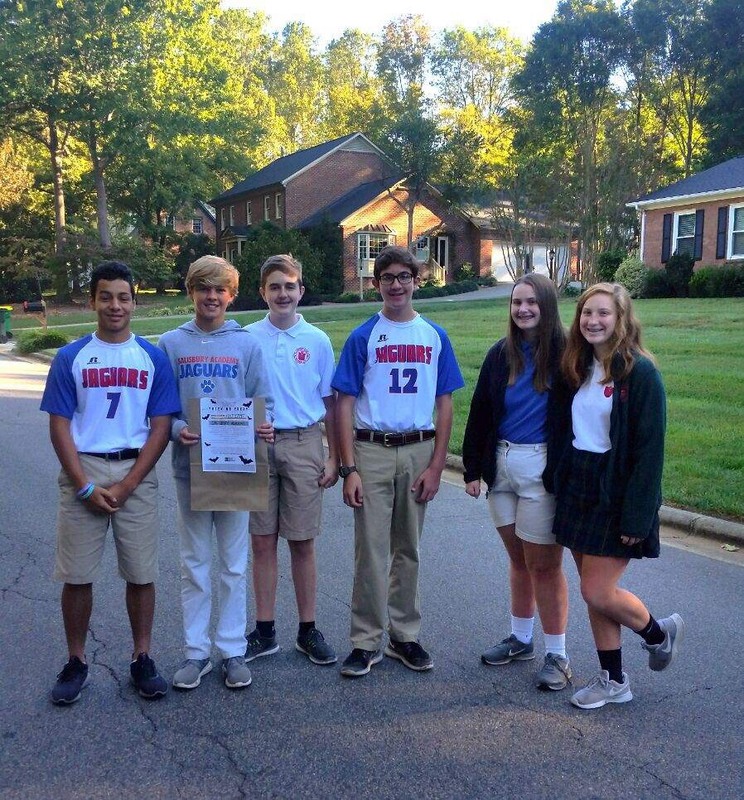 Eighth grade students place grocery bags around town for the "Trick-or-Treat So Others May Eat" program. "25 Years of Service Day"